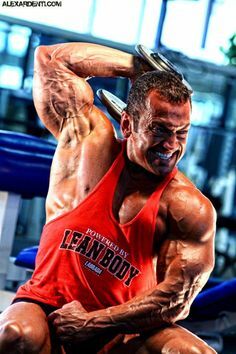 The Five Secrets to Natural Bodybuilding Success! One thing that I have noticed in all successful bodybuilding and fitness people is that their mindset is very different from that of their less successful peers. 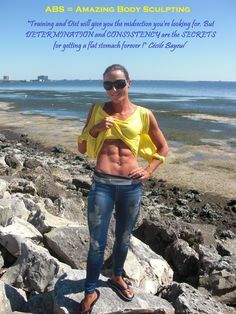 Since I have spent my share of time talking to many successful bodybuilders and fitness athletes, I can tell you that there are a lot of similarities among them. 1) They view failure as an opportunity to learn, make adjustments, and try again to succeed as opposed to viewing it as a permanent condition. No matter what you do in life, you will encounter some setbacks. Instead of letting these setbacks put you out of commission permanently, use them to learn from them and become a stronger person. Every setback is an opportunity for personal growth and for learning what not to do in the future. The only time that you fail is the minute that you decide to never stand up again. 2) They have the mindset of success. 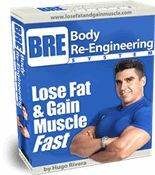 In other words, when problems come up, instead of letting these interfere with their bodybuilding program, they look for solutions to get through them. In order to be successful in bodybuilding you need to have the right mindset. Bodybuilding is both a physical and extremely psychological endeavor. Of course, we all get frustrated when our schedules are affected by work, or any other life circumstance that may be thrown our way. Life is full of monkey wrenches in case you haven’t noticed and it does not make it easy for us to get our workouts and meals in. Therefore, we have to fight aggressively and plan ahead if we want to get our workouts and meals in. As bodybuilders we must keep our eyes on the ultimate goal, which is always more muscle mass with less body fat. In order to accomplish that one must be consistent with the training and diet. If for whatever reason the program that the bodybuilder has mapped out is too much of a time commitment at a certain period in life, then the solution is to modify the bodybuilding program to one that does fit the time schedule…be flexible. For instance, back in my engineering days there were periods when I had to work 60-70 hours a week, I modified my training to where I would hit the gym 5 days a week for 40-45 minutes of weight training. Since I had no time to do cardiovascular exercise, I would superset antagonistic muscles in order to get some sort of cardiovascular effect (refer to my abbreviated bodybuilding plan at the end of this article). That is all I could afford to do at the time. I always tried to get my training in before work, but if for some reason I would miss it in the morning, then I always had lunchtime to make it up or later in the evening after work. Worst case, there was always the weekend for makeup sessions. Regarding meals, I always brought in all of my meals with me pre-prepared and also enough protein shakes for those times that I was really on the run. Some of you for whatever reason may not even be able to do more than three sessions a week. If this is the case, then no issue; make the most out of the time that you do have available to train. The key to making lasting bodybuilding gains at the end of the day is that you have a realistic plan that can be executed consistently, not trying to follow one that looks really good in paper but cannot be executed. You will get to where you want to go, it may just take a little bit longer depending on how much time you can dedicate to reaching your goals. 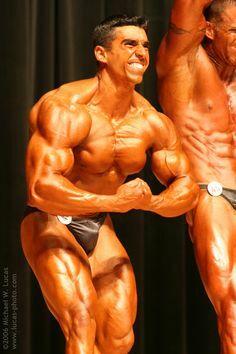 3) They have a positive attitude and believe in their ability to achieve their bodybuilding goals. This point is of extreme importance as if you do not believe that you can accomplish something, more than likely, you won’t. Thoughts are very powerful things and the way that you see things is the way that your reality becomes. It is my experience that most of the obstacles and limitations in life are placed by one’s mind. Thus, make sure that you are not limiting yourself! Unleash your potential by bringing down all imaginary obstacles! 4) They have an incredible work ethic and schedule their workout times and meal times with the same importance as they would schedule any item at work. Most people give their meal times and workout times a secondary importance. “I have too much too do, so I can’t work out”. Thus, the workouts never get done. How often I hear this! Most of us have a lot to do! We are all busy so if we want to get in shape, we need to make a commitment to it! Committing means having a very structured day where you have a time for your work and a time for your workouts. Again, I am not talking of living in the gym. 25-30 minute workouts can get the job done! However, you do need to allocate that time to your workouts. As far as the diet, how often I hear, there is no way I can eat 5-6 times a day. Well, if you have a breakfast, a lunch, and a dinner, with protein shakes in between, there is no reason why you could not go ahead and have all of the required meals. And if the excuse is that there is no time to get all of your meals ready, then I suggest that you prepare your food for the next day the night before. Pre-package everything the night before and that way, when you wake up the next day there is no time wasted in the morning with food preparation. You just carry all of the food with you in a cooler and you are good to go. Adopt the behavior of successful bodybuilders and fitness athletes and you will see how your bodybuilding and fitness gains will increase dramatically! 4. Perform this routine for a month, doing 3 days on and 1 day off. Alternatively, you can work out 5 days a week by doing your workouts on Monday, Tuesday, Wednesday, Friday and Saturday. That leaves Thursdays and Sundays always off. If you have a good recuperation capability, then simply workout from Mon-Fri resting over the weekends. After a month, change the exercises. 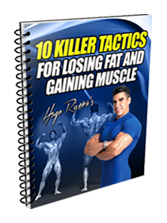 Leave a Comment with Facebook for The Five Secrets to Natural Bodybuilding Success!